Apple's iPhone 5S and iPhone 5C handsets are still in high demand following their launch in September, but already rumours are circulating about what the next handsets could look like. The latest speculate about what the size of the 'iPhone 6' handset's display might be and suggests the fabled smartphone will include a full HD 1080p Retina screen. The rumour comes from a Japanese magazine called Mac Fan. The magazine said the screen of the iPhone 6 handset is expected to measure 5 inches diagonally. This would make it an inch larger than the iPhone 5S' screen and it would directly compete with Google's Nexus 5, announced earlier this week. However, recent rumours suggested that Apple has not yet decided how large to make the new screen of its flagship handset, Yahoo! News reported. 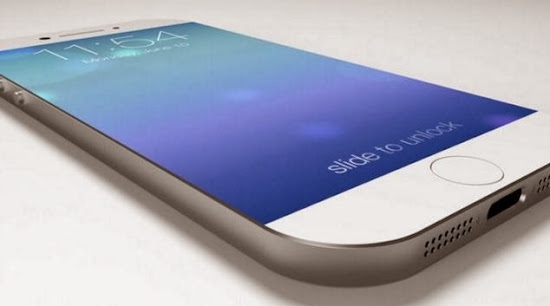 The Mac Fan rumour also suggests that Apple's next iPhone handset will launch in September 2014. This would fit in with the company's launch pattern and give the iPhone 5S, which features a fingerprint scanner, a full year as Apple's highest-spec handset. While the spec of the iPhone 6 handset will be under scrutiny until the smartphone launches, fans of Apple's mobile offerings will no doubt be interested in what finish and colours the phone will come in. A survey recently revealed that different sexes are often drawn to different coloured iPhones. Chicago-based Consumer Intelligence Research Partners (CIRP) examined buying behaviour of Apple's luxurious iPhone 5S handset, which comes in three colours: space grey, silver and gold. Space grey accounts for 43 per cent of all sales of the handset and the study found that men predominantly chose the favourite grey shade, while most women preferred the lighter and more sparkly silver option. Interestingly, the gold iPhone 5S, which was originally reported in being the most short in supply, accounted for 27 per cent of sales and was equally popular among men and women. Whatever the next handset looks like, Apple will have to compete more fiercely with Samsung than ever before, which is squeezing Apple with a 2.5 per cent rise in market share. Samsung Electronics shipped a record 88.4 million smartphones in the third quarter of this year to take its global market share above 35 per cent, while rival Apple's slice thinned, according to recent research data. The figure marked a 55 per cent surge for Samsung over the same period last year, the independent research firm Strategy Analytics said. The South Korean tech company's market share swelled to 35.2 per cent from 32.9 pec ent in the third quarter of 2012, whereas Apple's market share dipped from 15.6 per cent to 13.4 per cent.